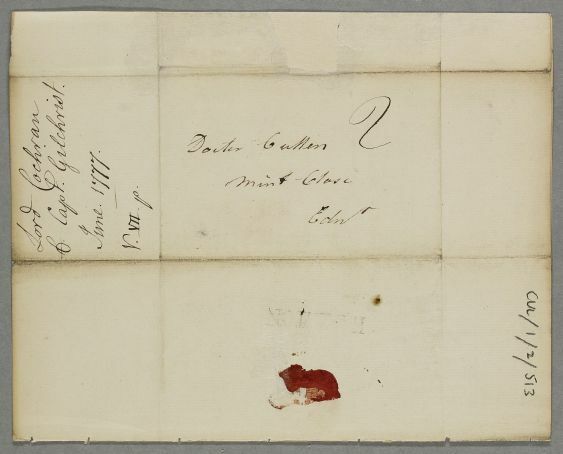 Letter from Lord Cochrane concerning the case of Captain Gilchrist, who seems to be dying. 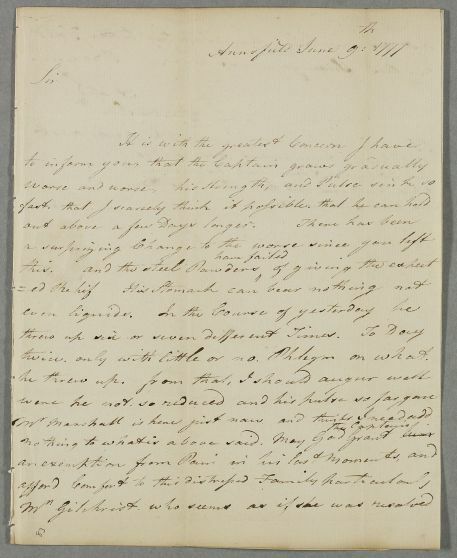 Summary Letter from Lord Cochrane concerning the case of Captain Gilchrist, who seems to be dying. 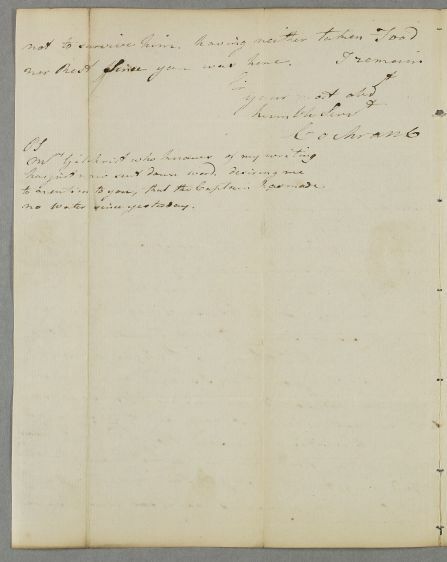 Case of Captain Gilchrist suffering from 'vomiting fits' and thought to be in a terminal decline. twice. only with little or no Phlegm on what.